Thanks to last night’s dreams, I have no doubt why Virgil had his hero return to the ordinary world through the Gate of Ivory. The famous passage in Book VI of the Aeneid has sparked endless discussion among scholars and thoughtful readers. In both Homer and Virgil, there are twin gates of dreams: false dreams come to humans through the Gate of Ivory, true dreams come through the Gate of Horn. The symbolism is clear: ivory is opaque, while polished horn, as the ancients knew it, is translucent and sometimes almost transparent. 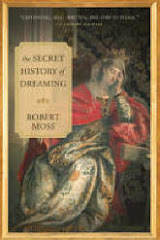 False dreams were thought to be brought to humans by low spirits; true dreams by higher guides. False dreams were held to be prevalent before midnight, true dreams after midnight. So one theory about Virgil is that Aeneas and his seeress companion, the Cumaean Sybil, returned from the Underworld after meeting the hero’s dead father Anchises because they traveled back before midnight, Then there’s the political theory, that Virgil was making a camouflaged dig at the emperor Augustus. The hero is returning to a world made false by Roman imperialism. A dream of last night confirms me in the view Virgil has Aeneas return through the Gate of Ivory because he is coming back to a world that is no more real, and may be more illusory, than the Otherworld territory where he has been. In the dream, I led a series of group journeys through various portals to places in the Imaginal Realm and in the afterlife. We shared very rich experiences. Each time I sounded the recall with my drum and brought our shamanic travelers back to their bodies, I enjoyed startling them by saying, “You are now in a dream.” Or: “You are now in the afterlife.” The last statement produced notable shock effects. Thoughts come flocking, like the wild geese over the lake in my line of sight as I write. From the viewpoint of the beings we were before we came into this world, our physical existence is literally the afterlife. In dreams and visions, we often travel to realities where the dead are alive. We frequently fail to realize that we are with the “dead”. We also miss the fact that we are traveling in environments we may inhabit when we have left our present bodies behind. We may have known some of these places for eons, in the spaces between lives.. So then: as you return from your night adventures, are you coming back through the Gate of Ivory or the Gate of Horn? P.S. I have no doubt that my father came through the Gate of Horn when he recently brought me a vital medical advisory that I acted upon. Images (1) Wooded path photo by RM (2) Aeneas and the Sybil c 1800, artist unknown. 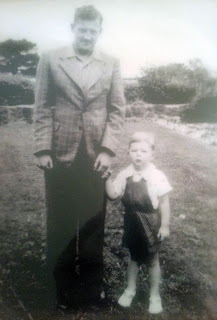 Yesterday, after surgery, I raised a glass of fine Oban whisky to toast and thank my father. His body was turned into ashes nearly thirty years ago, but he turned up for me again, in the most vivid and helpful way, a few weeks ago, with a health advisory I acted upon. In the liminal space between sleep and awake, I found myself on a high rooftop with sweeping views over a great city. In a corner of the rooftop terrace, standing near the edge, I saw my father. This was a tremendous surprise. Let me clarify. The reason for my surprise was not that my father is deceased. We had seen a lot of each other since his death. At his funeral, I felt his loving presence and his joy at being released from the confinement of an ailing body. Not long after, I was blessed by his direct intervention to make peace between family members. 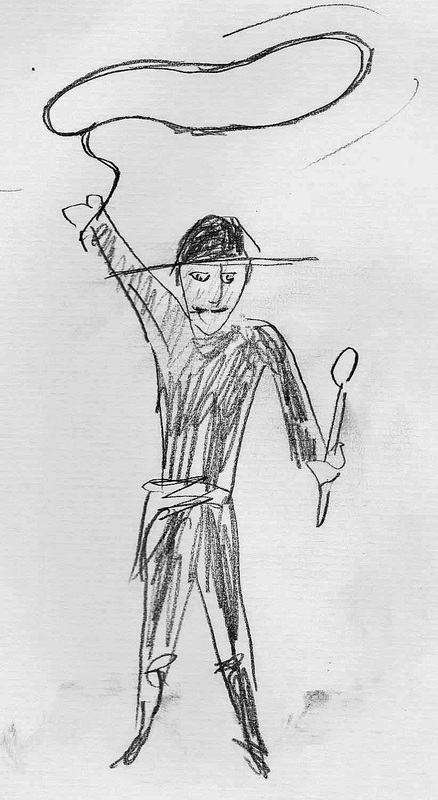 Soon he was able to present himself, in dreams and visions, in a youthful new body, resembling the one he had had as a dashing young cavalry officer, the equestrian champion of the Australian Army. Over several years, he often came to me in dreams and visions with specific guidance for the family, playing counselor and protector, As he moved through his transitions on the Other Side, he was able to share his experiences. As he remembered more about the multidimensional self and the relations between members of soul families across time and space, he was able to talk to me about our identities and connections in other life dramas. Eventually, he explained to me that he had graduated from his current life school on the Other Side and had made his choice about his next life experience. It was clear that we would no longer be able to see each other so frequently, if at all. Hence my surprise when I saw Dad on that high rooftop. I know he has been fully engaged in life adventures in another time. I did not expect to see him again this way in my own time..
As soon as I saw him, I found myself standing in front of him, as if one or both of us had traveled without moving.
. My father pointed a finger at my upper lip, at a spot on the right side. He said, "Go to a doctor and get that checked out." This was our entire exchange. I acted on Dad's counsel right away. I had had a spot just above my upper lip for a couple of years that did not look like a regular mole. It had started bothering me after I cut it while shaving and it took a long time to heal. However, I tend to avoid doctors and had not mentioned it to my general practitioner. Because of my father's intervention, I called a dermatologist when his office opened that morning. "That is something," he declared when I pointed to the spot above my lip. He did a biopsy. Wearing a Band-Aid mustache over the hole this opened in my face, I went ahead with my plan to make a personal odyssey to Yeats country in the west of Ireland. I got the results of the biopsy on the morning I caught a plane back from Dublin. The spot was what the skin doctor suspected: basal cell carcinoma. I was scheduled to lead two weeks of trainings, and went ahead with these, allowing my students to guess about why I was sporting a Band-Aid mustache. When I met the surgeon for a consultation last Monday, he told me that the procedure would leave a scar. We agreed that I could tell people that this was the result of a close encounter with a bear. I went in for the surgery yesterday and it was a complete success. It will take a little while for the wound to heal and the sutures to come out and my lovely new "baby skin" to bloom but I am quite, quite well and feel absolutely fine. Problem solved, because my dead father found a way to get my attention. My father was a Scot by ancesty, and whisky was his preferred drink. The whisky in the glass looks like liquid sunlight. Thanks, Dad. Here's to life! Bertha Huse, a teenage mill girl, goes out for a walk in the cool morning mist of a New Hampshire fall. This is her habit, but her family worries when she does not return for breakfast and does not show up for work. A few hours later, a full-scale search is in progress. 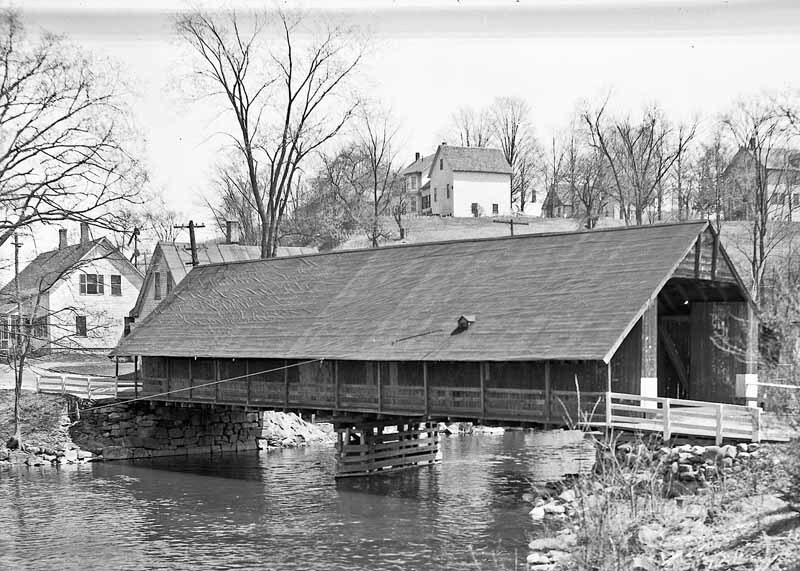 She likes to walk a Shaker bridge across a small lake, and it is feared she may have fallen into the water and drowned. The mill owner sends for a diver. There is no sign of Bertha, above or below water. In another New Hampshire village, five miles away, Nellie Titus has been following reports of the search and grieves for the family. A couple of nights later, she screams in her sleep and her husband shakes her awake. She rebukes him for waking her before she had seen where the missing girl was. She tells him firmly that he must never interrupt her sleep, whatever she seems to be doing. A reputation for dreaming true runs in Nellie’s family. Her grandmother had the gift. It is not clear whether Nellie is dreaming of the missing girl or dreaming as her. On another night, she makes it her focused intention to solve the mystery. She emerges from the new dream complaining that she is “oh so cold.” It seems she has joined the girl in the lake, in the place of her drowned body. Nellie is certain she knows exactly where the body is located. They go to George Whitney, the manager of the mill where Bertha works, and insist he should get a diver to search again, under the bridge. Whitney is a decent master, but he is also a man of reason and science – this is 1898, after all! But the village has been stricken by Bertha’s disappearance, and he agrees to give it a try. The diver, a wiry, skeptical Irishman named Brian Sullivan, is reluctant to go down. But when Nellie gives an exact account of where the body is located, jammed in the structure of the bridge, with a leg protruding, it is agreed that one dive will be made, at the place she points out. That is exactly where Bertha’s body is found. It was invisible to the diver, as he groped underwater. Almost certainly, he would have missed it, except that he had received exact directions from a psychic dreamer in contact with the spirit, or at least the situation, of the dead girl. Source: William James, “A Case of Clairvoyance” in Proceedings of the American Society of Psychical Research 1 (1907) 221-36. [publication was delayed] There is a nice retelling in Deborah Blume, Ghost Hunters: William James and the Search for Scientific Proof of Life after Death (New York: The Penguin Press, 2006). Image: Shaker bridge at Enfield, New Hampshire. The woman is talking about the first dream of her life that had a huge impact on her; she calls this an "everlasting" impression. 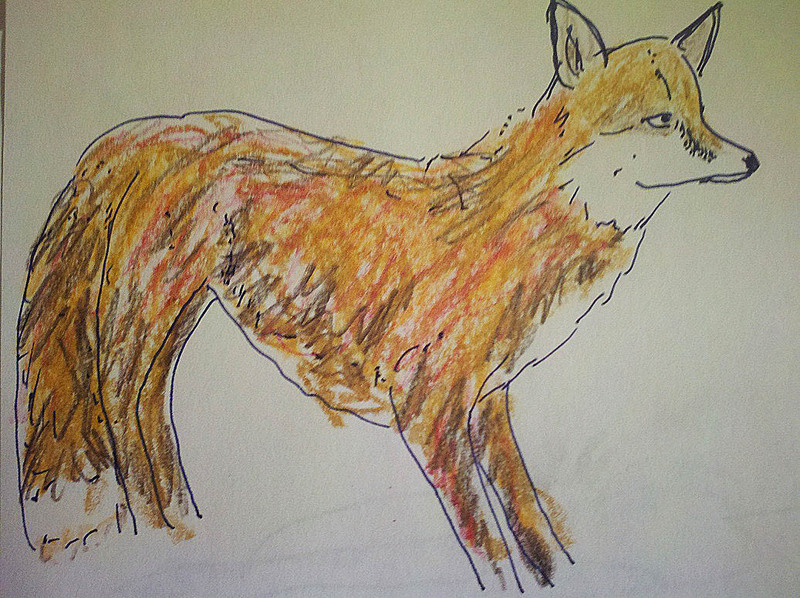 "I am in my childhood home," she recalls, "and a spectral fox is coming down the stairs." She stops and puts her hand on Jung’s arm, because in this moment a real fox trots out of the trees, less than forty yards in front of them. The fox proceeds to walk quietly along the path in front of them for several minutes. "Fox is very important to me, a personal totem, so when I read about that moment between Jung and his patient, I copied and printed the book passage to show my friend. Later I was at her place on the ocean. We were sitting on the deck with a pre-dinner glass if wine and I read her the story. How amazing is that I asked her. She couldn't respond because she was looking all agog and pointing. "Coming around the corner of the building was a grey fox. It looked rather mangy and ran slowly, bent low, head hanging. I was too stunned to take a photo. " There is a practice in Ireland called vaguing, that Patricia Monaghan writes about beautifully in The Red-Haired Girl from the Bog. On a country walk, when you come to a fork in the road, you let your body choose which way to go. You will notice that a foot or a leg has a tendency to turn left instead of right, or the other way round, and off you go. Of course, this is practice for a day off, when you do not have anywhere in particular that you need to be a noontime, and you do not mind being off the maps. Yet being ready to fall off the maps, and make an unexpected find when you do that, is practice for a kairomancer on any day, even when on a tight schedule. David Mitchell, the author of Cloud Atlas, found a new book was waiting to meet him when he got off a tram at the wrong stop. Mitchell relates that around Christmas in 1994, in Nagasaki, he got off at a wrong tram stop and stumbled upon “a greenish moat and cluster of warehouses from an earlier century.” This was his first encounter with Dejima, a trading factory of the Dutch East India Company built on a man-made island in Nagasaki harbor. For two and a half centuries, when Japan was closed to the outside world, this was the sole point of contact between Japan and the west. Twelve years after alighting at the wrong tram stop, David Mitchell published his extraordinary historical novel The Thousand Autumns of Jacob de Zoet, which richly deserves its tremendous critical and commercial success. Mitchell succeeds in transporting us into the mental and physical worlds of two cultures at the close of the eighteenth century. He is a master of what he amusingly calls “Bygonese”, conveying how people thought and talked in an earlier time in a way that never seems labored or antiquarian. Among his memorable characters, Dejima itself becomes indelible. And he found it by getting lost. el camino se hace por andar. 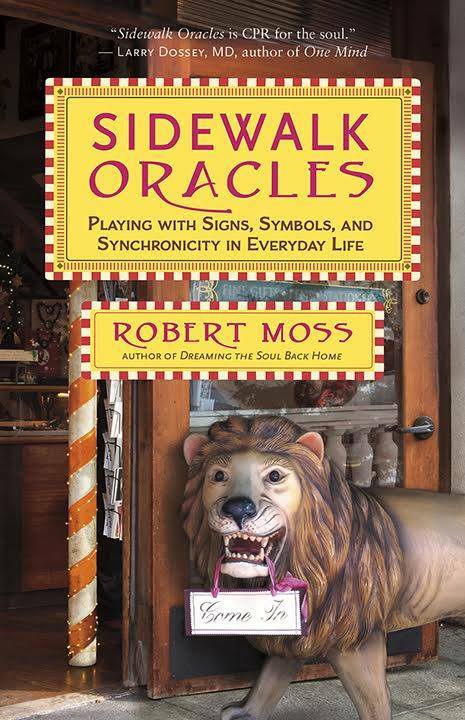 Text adapted from Sidewalk Oracles by Robert Moss. Published by New World Library. In my night dreams, the place of creation is often a kitchen. I don’t do a lot of cooking, but I love the image of the kitchen — where we are fed and nourished and we mix things together and cook things up — as the creative center. I especially like to think of the creative process as being similar to baking. You get together your startup dough, then you knead it — you stretch it and pull it apart and bring it together again. Then you stand back and let it rise (if it will). Then you get hot, and expose your project to the fire. And finally comes the test: how does it taste? 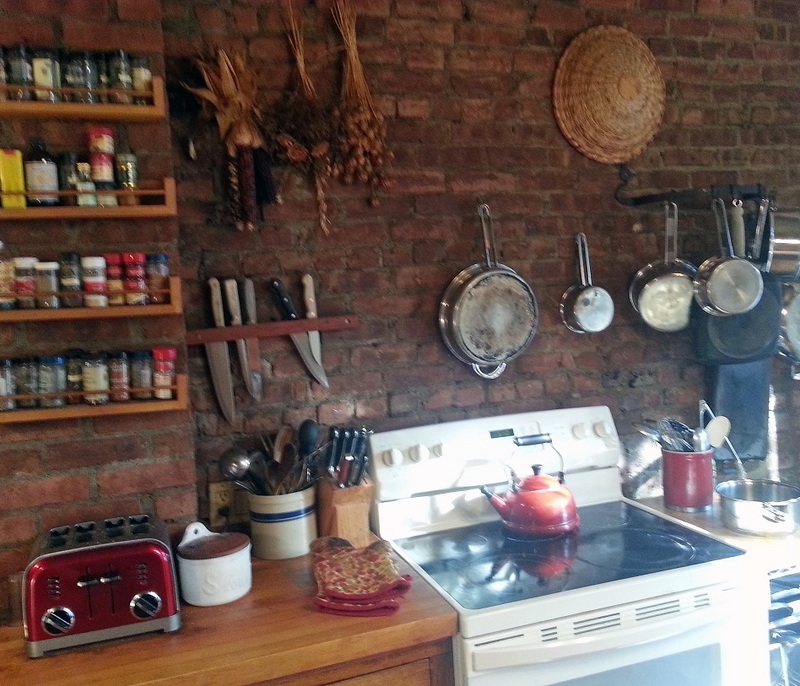 I know, from the state of my dream kitchen, how a creative project is coming (or not coming) along. Once, when working on a book, I dreamed that a splendid meal was being delivered, but that there was no place in the kitchen to set it down, since every surface was covered with papers or dishes. 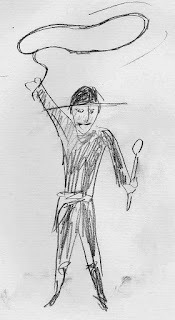 The dream gave me a clear message to eliminate clutter, push aside old drafts and research files, and make space for the main dish to be served up fresh and hot. The state of the dream kitchen may reflect the family situation. A woman once came to me with a troubling dream in which her kitchen was so messy that she could not tell the difference between the groceries and the trash. She insisted that she was a tidy person who would never allow her kitchen to get into that state. Could the dream be played out in the future? She was reluctant to accept that idea. We briefly discussed whether the mess in the kitchen could be a metaphor for the state of her marriage and family relations. She allowed that there might be some "cleaning up" to do on that front. Two weeks later, she came home to find that the mess from her dream had spilled over into her literal kitchen. Her husband and teen boys had done such a number on the kitchen that she literally could not tell the difference between the groceries and the trash. 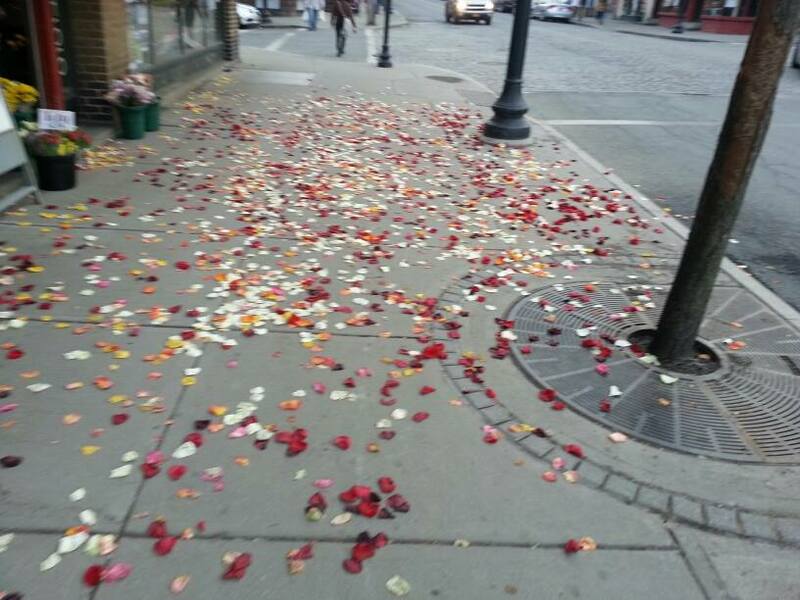 This prompted her to have a tough sit-down conversation with her husband, at the end of which they agreed that the mess in their relationship couldn't be cleaned up by anything less than a separation. In that kitchen dream, be it noted, we see how a quite literal precognitive dream can point us to a situation in ordinary life that is richly symbolic. We need to take dreams more literally, and waking life more symbolically. What's going on in your dream kitchen? My husband gets out of bed and puts on his noose. like a character from an old Western. I asked you why you put on this costume. You told me, "I adapt to circumstances." I said I would love to talk with you. place my noose around your neck." You let it hang there lightly that time. and drags me to the edge of the abyss. "But you are the one who taught me to fly!" bending me over the windy chasm. I'm not meant to die for a long time. the clatter of knuckle bones. What game? I don't understand. "If you are nice to people you can go back." He blows a kiss that throws me back to my body. He doesn't tell me he has given me an invisible gift. I am wearing his noose around my neck. - Mosswood Hollow July 22, 2016. A shaft goes hundreds of feet down into the earth, through masses of rock beneath the paving stones of a great square. Is this a jail for a very special prisoner? 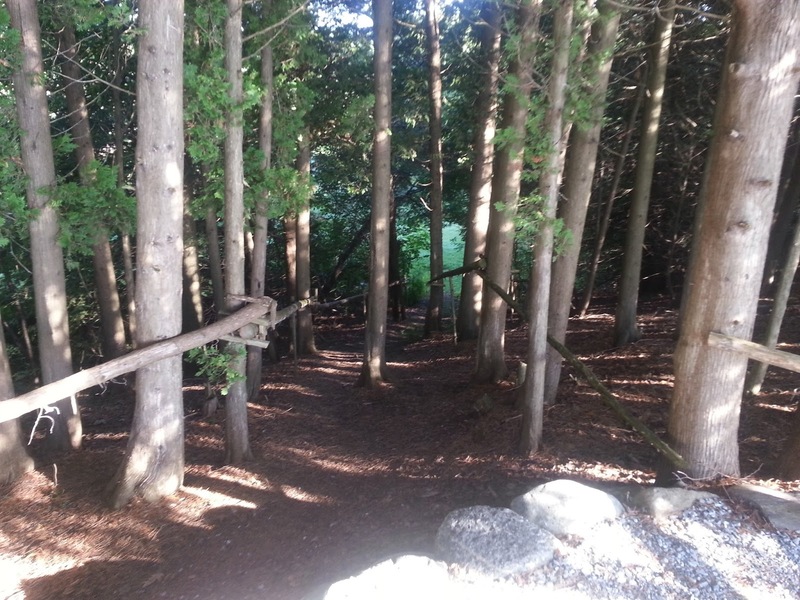 The way down is easy enough; the way up is fiendishly difficult, and there is no obvious way to call for help. I tell a friend who has died in the ordinary world that it is probably time to leave. Neither or us has been stuck here. We have been exploring together, in a breezy Indiana Jones spirit of adventure. Hmm. How to get up? It comes to me in a flash. We need to take the Bhakti Checkout. I know that in Sanskrit, bhakti means love and devotion, and that bhakti yoga is a way of devotion to a personal deity. 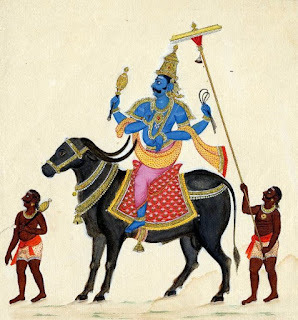 recommended by Krishna in the Bhagavad Gita. But I don't tax my brain for references or hand-me-down texts. Blessed One, light giver, let me rise on your wings into your heart of light. Yes, this does the trick. I am rising now, as if weightless, carried up by wings of light. I will my friend to rise with me. - from last night's dreams. Reality check: I know this works. I feel I have been given a way of release from places of confinement, in any world. I find these words of Krishna in the Bhagavad Gita (chapter 12, verse 8): "Fix your mind and intelligence on me alone and ultimately you will come to me. Of this there is no doubt." My intention for last night's dreams was to continue to explore ways to help people approach the afterlife. The intention was clearly answered. I ask myself: What is a Western song that carries this spirit? The answer comes at once. It is "Amazing Grace", the luminous creation of a penitent former slave trader. Find in your heart, your deep yearning for the beloved of your soul. Feel that desire rising from your heart as a beam of light. Feel and see an answering light from the highest reaching down like a finger of gentle fire, to meet the light ascending from your heart. In the radiant place of encounter between your heart light and the fire from heaven, join in the embrace of the beloved of your soul, the one who never leaves you but seeks you everywhere. 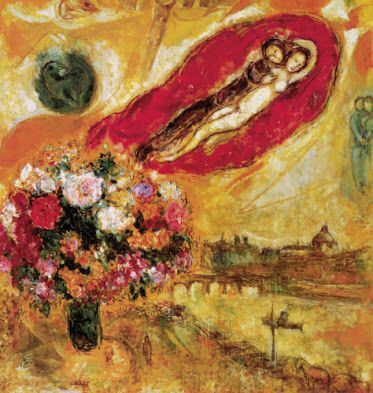 Art: Marc Chagall, "Au dessus de Paris"
Once again, my dreams are setting me research assignments. Last night I dreamed I was shown a series of images of Loki, the Norse trickster god. A voice-over explained his many attributes and gave a fresh version of his role in the affairs of the Aesir and their rivals, and the perennial contest between order and chaos. My tutorial seemed to be taking place in Ireland, which confused me a little when I woke until I reflected on the Viking history of that island, and started researching symbol stones. In the dream, I was fascinated by the images. They looked nothing like the Loki portrayed in the movie Thor. They were abstract in style, only vaguely humanoid. 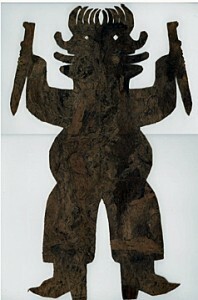 The figures seemed composed of oblong segments that could move separately. The images were essentially two-dimensional, yet through their portals it seemed possible to see into a stir of action taking place within a larger reality, beyond 4D. I was reminded of how other 2D images - like mandalas - can also give access to multidimensional reality, sometimes more easily than 3D representations. I did not retain much of the commentary on Loki in the dream, but I know that it presented a Loki who is much more complex and less dark than the "devil god" versions. I suspect there is also interweaving of Norse and Celtic traditions, given the Irish setting. I am prompted now to press forward with an assignment given to me many years ago by Tolkien, no less. I was leading a group shamanic journey to a locale in the imaginal realm that I sometimes call the Magic Library. I met C.S. Lewis and Tolkien - or their semblances - and they offered me some advice on writing. Tolkien said, "You must study Scandinavian mythology." A few years later, while I was working on The Dreamer's Book of the Dead, C.S. Lewis turned up again, in a spontaneous night vision in the liminal space between sleep and awake. I asked him, "Where's Tolkien?" He replied, "Tolkien isn't talking to you because you didn't do what he told you to do." So: this morning I found relief carvings of a being that is believed to be Loki on symbol stones from both Ireland and Scotland. The one above is Pictish. 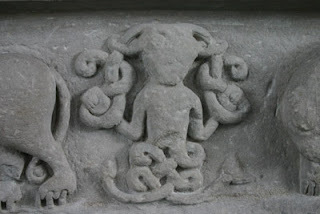 It is from the Meigle museum of sculpted stone in eastern Scotland and shows a horned god in chains. The abstract style somewhat resembles the figures in my dream, who are less clearly humanoid. 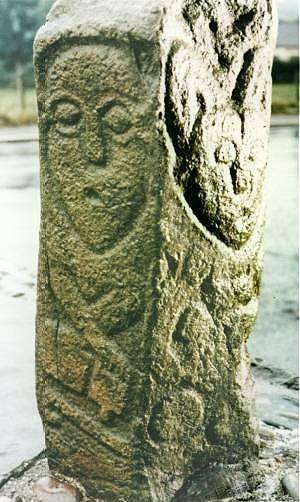 The stone below is at Carndonagh in Donegal, a guardian pillar with a monastic figure on the left and a possible Loki on the right. I shall try to draw the series of Loki images that were shown to me in the dream. I shall continue my researches, which have already turned up an interesting possible meaning for Loki's name. In Geirr Bassi Haraldsson's The Old Norse Name, "Loki" is a "loop in a thread", in other words, a loophole. One aspect of the Trickster leaps out; he can find or make loopholes in the weave of fate. For now, my catch phrase is: I got Loki. What Face Will Your Death Wear? Death wears many masks. In Hopi mythology, the god Masau’u — depicted as a skeleton wearing a mask — is the gatekeeper and mediator between the realms of the dead and the living. In the Hopi creation story, when the ancestors journey up from the underworld to inhabit the earth, it is Masau’u who welcomes them into the sunlit world. He is a friend and guide to humans and knows the ways between the worlds; he is also the lord of boundaries, fire, fertility — and humor. He can turn anything into its opposite. The ancient Greeks had two names for their death lord. They called him Hades, which means “the unseen,” and Pluto, which means “rich.” The words hint at the treasures to be found in his realm. 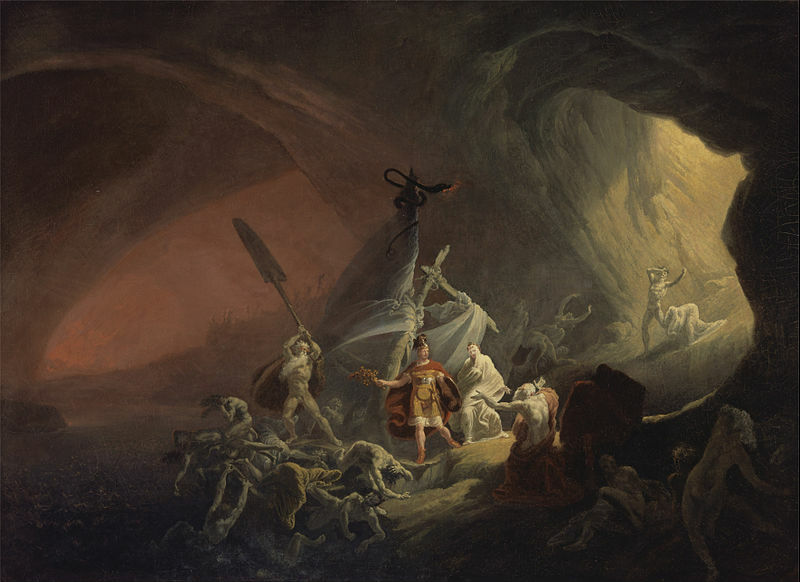 The Greek myths also warn of the need to travel these roads with great care, to avoid the fate of the hero Theseus, who lost a part of himself when it remained stuck to a bench before the throne of Hades — and of his friend Pirithous, who remained stuck there indefinitely. The close encounter with Death brings courage, which Rollo May rightly identified in The Courage to Create as the heart of the creative endeavor. It encourages the ability to go beyond the surface vicissitudes of daily life. It brings keen awareness of a larger reality. This is clearly reflected in the experiences of survivors of near-death experiences. Kenneth Ring, one of the foremost researchers in this field, reported in Life at Death that 60 percent of all “returners” questioned by him said that their lives had changed; 40 percent said this had been the most important experience of their lives; 89 percent said they would gladly repeat it. All dreaming peoples know that the encounter does not require the physical extremity of a life-threatening illness or near-fatal accident. We move among the departed in spontaneous sleep dreams. As active dreamers, we can range far and wide through the afterworlds, observing how different aspects of the soul go to different destinations. In the process, we learn to brave our deepest fears. We encounter radiant guides and powerful spiritual allies. We discover special places to which we can return — in this life and perhaps beyond. Morning, sunset, evening star — all dreams. What cannot be known in the dream cannot be known in its glory. The soaring beauty of their voices is with me as I write. Occasionally, in journeys to help the departed, I have tried to guide those who seem ready for those halls of weathered, ivy-draped stone, set among rolling lawns and exuberant flower beds and sparkling fountains. When my spirit needs to soar, I sometimes ascend, in conscious dream journeys, to a world as fresh as the first day where I flew with the winged powers after leaving my astral body, as well as my physical body, behind. I have seen death swinging a Scottish broadsword. I have conversed with Yama, the Hindu death lord, who speaks - in beneficent mode - in the accent of an Oxbridge-educated maharajah. I have seen death as a great black bird, as a purple bruise flowering in an empty sky, as a sweet and luminous friend. The Death I want now (to echo a splendid line of Octavio Paz) carries my name, wears my face. 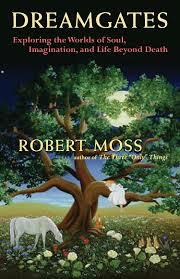 - adapted from Dreamgates: Exploring the Worlds of Soul, Imagination and Life Beyond Death by Robert Moss. Published by New World Library. Graphic: Yama, who is also called Kala ("Time") and may be the twin and/or consort of Kali, riding the water buffalo, with his mace and the noose he uses to pluck souls out of bodies in his hands. This is one of his more benign images. Once they are free of their physical bodies and physically-oriented assumptions about the rules of reality, our dead can become extremely helpful and reliable psychic advisers, since they can see across space and time quite easily. We have this ability too, but while we are encased in physical bodies and self-limiting beliefs about physical laws and linear time, we often forget to use our ability to see beyond these things. Departed friends and loved ones very frequently turn up in dreams to pass on health advisories. They are especially sensitive to health problems that tend to run in families. I have heard hundreds of reports of dreams in which deceased family members have given specific health warnings, some of which have almost certainly saved lives. I have had this experience myself. Our dead may come to us in dreams with warnings and advisories of any kind. The Chinese Book of Zuo relates that the dead father of a general called Han Jue appeared to him on the eve of battle and told him that in the fighting the next day he should avoid veering to either right or left and lead always from the center. The general was victorious in battle, but the enemies' arrows killed all the men immediately to the right and left of his chariot. There is a fascinating episode from the history of American show business in which a dceased friend becomes an everyday angel. Lucille Ball was devastated when her good friend Carole Lombard died in a plane crash in January 1942. But their friendship continued after Carole's death. Lucille's decision to take the risk of launching the "I Love Lucy" show on television was guided by her dead friend. Carole Lombard turned up in a very smart suit and said, "Take a chance, honey. Give it a whirl!" Lucille Ball recalled that "After that, I knew for certain that we were doing the right thing." Later, at a party, she told Clark Gable (who had been married to Carole Lombard) that his long-deceased wife kept turning up in her dreams to offer helpful advice. Clark Gable reportedly "stared, gulped, and plowed off in a daze." A young woman I'll call Kirsty lost her grandmother - a proud, creative, take-charge kind of woman - around the same time she developed a rare and serious illness. 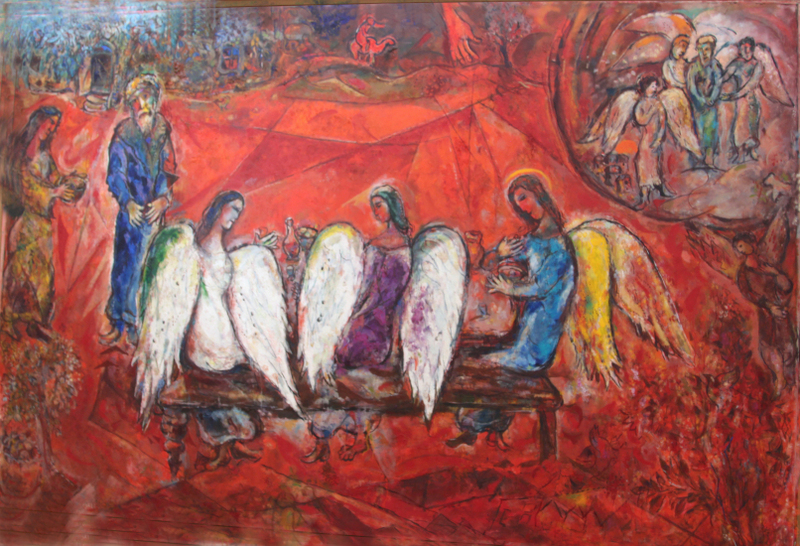 She then received a dream visitation from her grandmother, who told her, "I've arrange to be around for two more years. You and I have lots of work to do together, Sunshine." When Kirsty enrolled for an expensive series of therapy sessions, she dreamed that she heard her grandmother's voice on her answering machine. She did not want to pick up for fear that her grandmother would not really be there. "Pick up, Sunshine," her grandmother's voice encouraged her. When Kirsty did so, her grandmother said, "You can save a bunch on those therapy sessions if you meditate on your nickname. You are Sunshine, right? Be Sunshine! Let it stream through every cell in your body!" With the words, Kirsty felt waves of healing light and energy rolling through her body. She proceeded to make it a practice to sit with the sun and invoke a flow of inner sunlight every day, and this felt profoundly healing. In another dream, Kirsty's grandmother called to say she was going to help her arrange a move from her apartment in Manhattan to a house with a garden, and trees, and sunlight. Though Grandma was not visible in the flurry of real estate moves that followed, she had been very adept at this kind of thing, and Kirsty was buoyed by the feeling that she was active behind the scenes. It took less than a week to sell her condo, and she managed the house purchase in just one day. Magic. Grandma called again to say she wanted to support Kirsty in developing a new relationship. Nothing controlling, just a blessing. Kirsty was thrilled to find herself entering a warm and loving new relationship with a man who was not afraid of commitment. 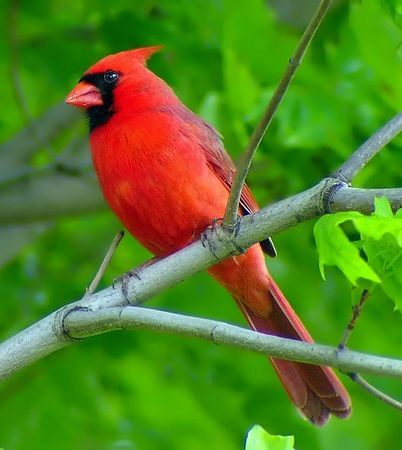 Kirsty's grandmother loved to paint cardinals. At her new house, Kirsty saw them all the time, glorious flashes of bright red among the greens. 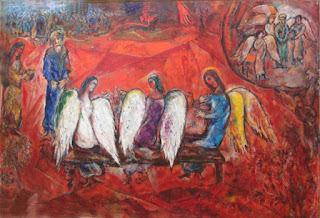 Art: Marc Chagall, "Three Angels Visit Moses"
"Your dreams tell you what is needed for the cure"
A dream is a wake-up call. It takes us beyond what we already know. Dreams are the language of the soul, and they are experiences of the soul. There are “big” dreams and “little” dreams, of course. In big dreams, we go traveling and we may receive visitations. We travel across time – into the future and the past – and we travel to other dimensions of reality. This is reflected in the words for “dream” that are used by indigenous people who have retained strong dreaming traditions and respect for dreamers. Among the Makiritare, a shamanic dreaming people of Venezuela, for example, the word for dream is adekato, which means “a journey of the soul”. Most societies, across most of human history, have valued dreams and dreamers for three main reasons. First, they have looked to dreams for contact with a wiser source than the everyday mind – call that God, or Nature, or the Self with a great big Jungian S. Second, they have looked to dreams as part of our survival kit, giving us clues to possible future events we may want to avoid or enact. Third, they have known that dreaming is medicine, in several important senses. Dreams show us what is going on inside the body, often before physical symptoms present. When we do get sick, dreams are a factory of images we can use for self-healing. "As you're curing the patient your dreams tell you what the problem is and who are the enemies who caused the illness. Your dreams tell you what is needed for the cure." I know this to be true. My dreams have given me exact diagnosis of what is going on in my body, and they have directed me to the right sources of healing, on the imaginal plane and in the doctor's office. Source for Don Antonio quote: James Dow, The Shaman's Touch: Otomi Indian Symbolic Healing. Salt Lake City: University of Utah Press, 1986. 51-52.